POPULAR LOCATION! HOME ESTATE AGENTS are pleased to bring to the market this well presented three bedroom semi-detached property located on the ever popular Buttermere Road in Partington. This well presented property boasts spacious living accommodation to all floors with open plan kitchen/dining room and conservatory. The property is well located to access all local amenities ans is only a short walk away from the recently built shopping centre. 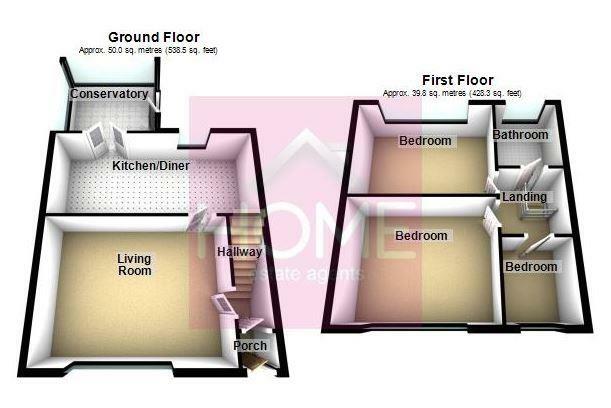 The accommodation comprises of porch, entrance hallway, lounge, open plan kitchen/dining room and conservatory. To the upstairs are three good sized bedrooms and a family bathroom. To the outside front is an extensive walled block paved garden and driveway leading to a detached garage. The rear the South facing garden is of generous size with Indian paved patio and lawned garden. The property is double glazed and warmed by gas central heating. To book your viewing call HOME on 01617471177.